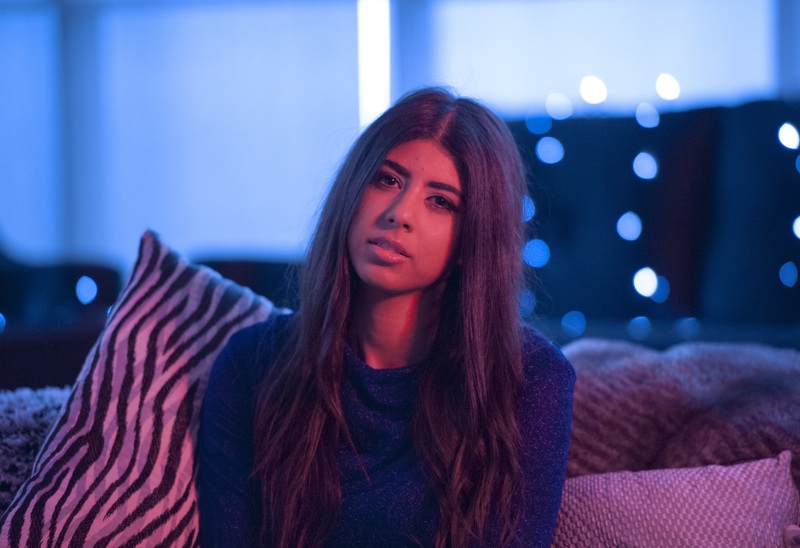 Throughout November, we’ve been featuring Sydney’s Carla Wehbe (so far) via an interview and an exclusive live performance as part of our first ever Artist Of The Month feature. In PART ONE, Carla talked about the release of her ‘Electric Field’ EP, its first single ‘Caught In A Lie’ and then appropriately played the game “two truths, one lie”. LAST WEEK, she performed the second single ‘Electric Field’ exclusively for auspOp, stripped back and acoustically at Uncanny Valley Studios in Glebe. Today, Carla chats to Sydney correspondent Brad Elias about the stylistic choices on her ‘Electric Field’ music video, collaborating with songwriters who’ve previously worked with One Direction and Little Mix, as well as her fascination with both Justin Bieber and indie-pop act Marina & The Diamonds. Be sure to catch the final instalment next Thursday, in which Carla will perform her track ‘Over My Head’. Our next Artist Of The Month feature will go live from Thursday December 01.